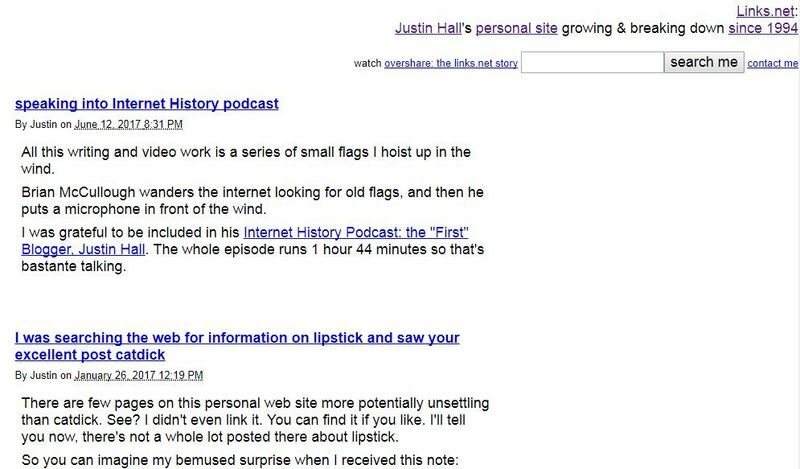 As we can see, Justin has decided to stick with the tried and tested formula of a simple blog, with an unerring focus on the content. With over 3 million blog posts a day, there is an overwhelming amount of content being published online on a daily basis. The question is: How do you make your blog stand out? The secret is, well, there is no secret. Although our blog examples should give you some insight into what matters most. For the vast majority of blogs, it takes time and a lot of high quality content. The world’s number one search engine, Google, is always hungry for fresh, authoritative content. At Postach.io, we follow search engine optimization (SEO) best practices to help optimize your blog. However, it also depends on your content and how you distribute it. Hubspot provide good insights into optimizing your posts for SEO. Building and maintaining a regularly updated blog, filled with fresh content will deliver results. Businesses who publish 16+ blog posts per month received three and half times more web traffic than those who publish four or less per month. 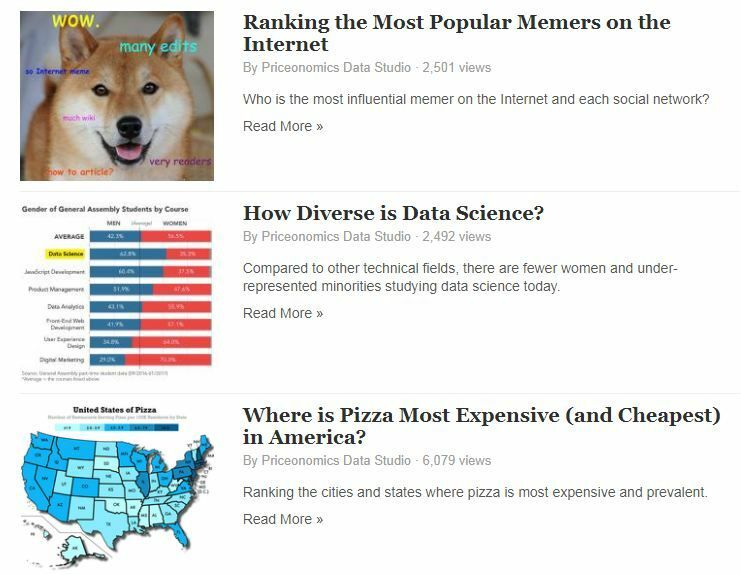 The motto says it all: “Priceonomics turns data into great stories." The Priceonomics blog is designed entirely to drive the focus of visitors to the content. Using minimal colors on the template enables the posts and images stand out. The ultimate aim of the blog is to drive traffic to the site and as a content provider, Priceonomics take the opportunity to share its previous projects. It is the ideal portfolio for prospective clients to read and see the quality of its work. The blog also happens to be a great source of unique and interesting posts. You can find out which city has the most expensive pizza in the United States or whether people complete online forms using their phones. It is providing content people want to read and difficult to get elsewhere. 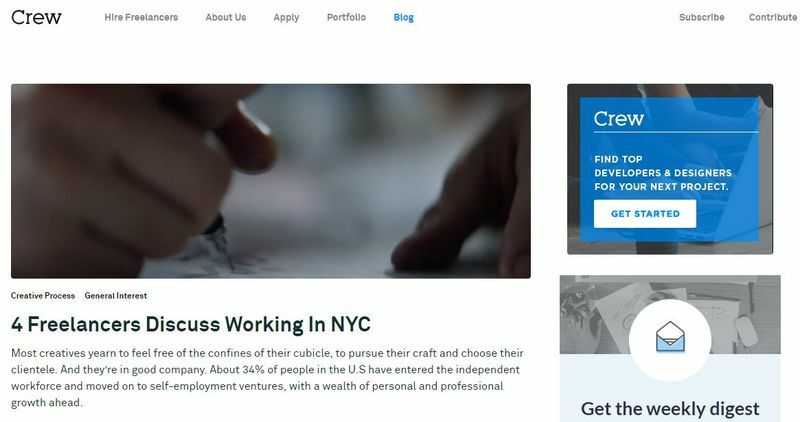 Freelance site, Crew, follows a similar design template, using just three colors: Black, blue, and white. Much like Priceonomics, it draws the eyes of the reader to the content itself with minimal distractions. The blog has a healthy mix of in-house and guest content. A recent post, “The Two Most Important Questions When Scoping Your MVP," is an informative guide on creating minimal viable products. It was written by guest writer, app designer, and developer Andrew Askins. Using a guest writer for your blog is a win-win situation. There are industry leaders who will be keen to build their authority and blogging is one of the most effective ways of doing this. You would benefit from having a post offering a fresh angle or completely new topic to keep visitors engaged with your blog, and coming back for more. Additionally, there is a well-placed boxed for people to sign up to newsletters, a great way to grow their subscriber list and retain web traffic. Content doesn’t just have to be writing, blogs with images receive 94% more views than those without, underlining the power of pictures. 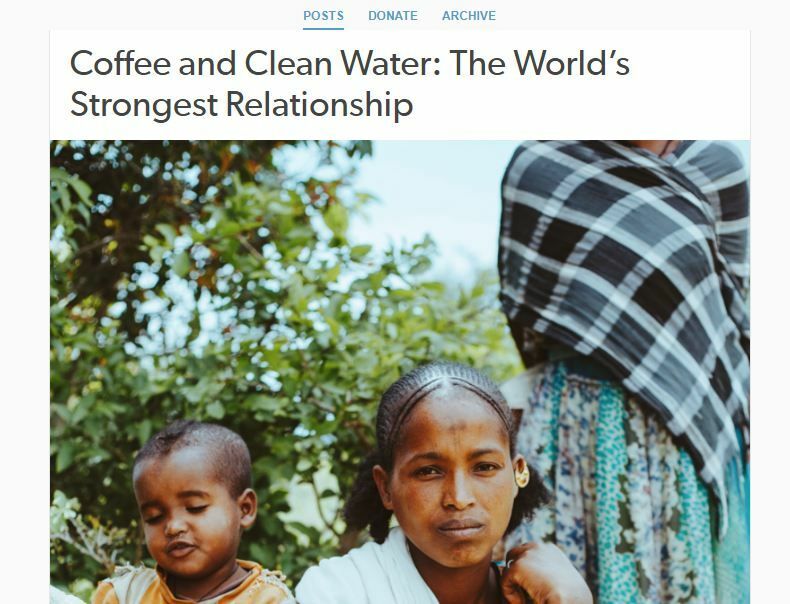 The saying “a picture is worth a thousand words" rings true in the striking images on the Charity: Water blog. There is no doubting the focus of the blog, with the eyes drawn to the visually stimulating posts in the center of the page. This is a recurring theme in this blog, where it maximizes the use of images to tell the story rather than using written content. It is a simple yet successful format. Another blog that uses images to cultivate its brand and to deliver interesting, relevant content for its female audience. Brit+Co is a digital media company with a community of 125 million women around the world and aims to “educate, inspire, entertain, and inform." The content on its blog is regularly updated and includes a variety of categories including health, relationships, and work. The posts are universally written in a warm and engaging tone, with a dose of humor added for good measure. “10 Easy One-Pot Recipes That Pair *Perfectly* With Red Wine" is a typical post for Brit+Co. A perfect, easy read for the professional woman looking to relax after a hard day at the office. Customer service software provider, Help Scout, follow a scannable grid design. Using feature images for all the posts give the reader a good idea on what the topics are before even before reading the titles. The grid format is a smart way of packing in content without overwhelming the visitor. Using different background colors for each feature image also helps to draw the eye to the posts. The content itself is informative and act as guides for the reader. 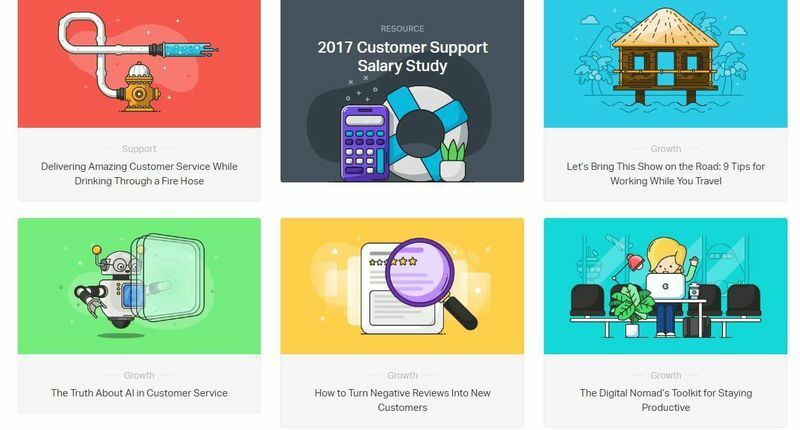 The posts offer advice on a variety of subjects connected to customer service and growing your business. A recent entry, “The Truth About AI in Customer Service," is a stellar example of relevant and current content. Delivering high quality posts that inform the readers helps to drive traffic to Help Scout and build its brand authority. The beauty of personal blogs is they can cover just about anything from health to horticulture, tea to travel, and food to feet. Among the seemingly infinite number of personal blogs with a readership of a few hundred at most, there are a few that have risen above the rest. Exile Lifestyle is one such blog, written by author, entrepreneur, and full-time traveler, Colin Wright. Colin shares his tales of traveling the world, staying in each place for around four months at a time. Interacting with his readership, he lets them choose the next destination. Colin’s posts are focused on the topic of lifestyle, sharing his own personal experiences. A good example of applying innovative methods to grow your web traffic in a simple way. We could not go through this list without mentioning Evernote. Their blog offers some key lessons in providing a simple yet interactive design. There is a healthy mix of technical and personal content, with some posts providing helpful tips on how to make the most out of Evernote products. The tone is friendly and open with clear headings, making the posts easy to read. The color scheme closely matches the Evernote brand, with easily identifiable green call to action links. This is particularly important given 80% of consumers say color boosts brand recognition. 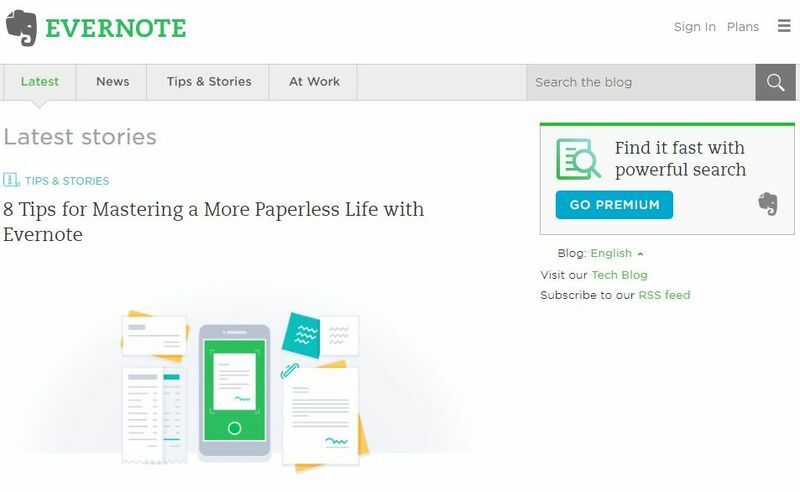 As with Exile Lifestyle, Evernote utilizes social media buttons to enable readers to quickly share content. In doing so, the blog can extend its reach and drive more traffic to the site. As we have seen, creating successful blogs doesn’t need to be complicated. 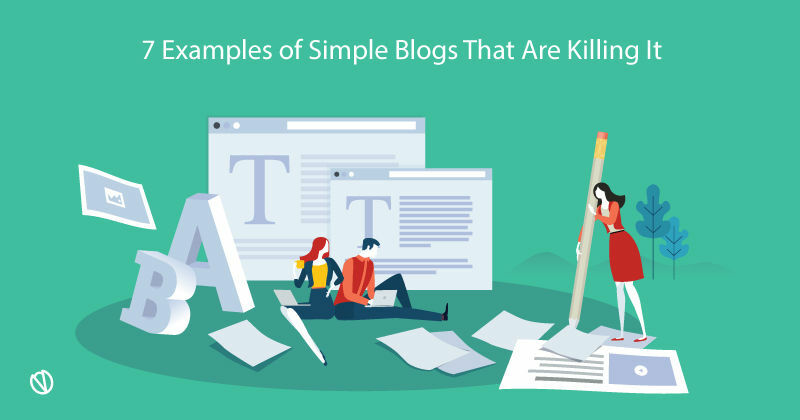 Some of the best performing blogs do well because of their simplicity. Fresh, relevant content: Keep your audience in mind when coming up with killer content. If you are a business with a blog, resist the temptation to simply use it as another channel to promote your products. Instead, create informative and helpful posts for your customers. Build your reputation as a leading authoritative voice within the industry. Optimize your blog: This is critically important for search engine optimization (SEO). If you do not optimize your blog properly, you’ll miss out on a boatload of traffic from Google. All of Postach.io’s themes are SEO optimized but for the content itself, you will need to consider titles, keywords, and meta descriptions. Hubspot have a useful guide to help you get started. Use Images: Remember the statistic suggesting blogs with images attract 94% more visitors than blogs without. For this reason alone, you should seriously consider including images on your blog. It also has the added benefit of helping you to create engaging content. No-one likes a wall of text. Follow simple designs: The number one purpose of any blog is to engage the visitor with your content. The tip is to minimize the number of distractions. Help direct the reader to where you want them to go. Don’t be afraid to have white space and a limited color scheme. Smart, minimalist design can go a long way to producing an enticing and welcoming blog. Blogs today have evolved hugely from the very first one back in 1994. Technology and even the internet itself, have changed beyond recognition. Such developments have allowed bloggers to reach out to ever increasing audiences. Yet, the principle remains the same. Place an emphasis on producing quality content, allow your blog time to gain traction on Google, and keep going. Invite guest bloggers, add social media icons, and keep your audience in mind.